Cadillac has announced it will reposition the recently revealed CT6 V-Sport as an actual V-branded model. That’s all well and good, but it apparently entails waving goodbye to the excellent ATS-V and CTS-V performance sedans. Both will be taken out of production by the spring of 2019, and in their place will be the CT6-V, once more performance bits are added on. Cadillac might be all about luxury (and SUVs, these days) but there’s one thing it’s always done right, and that’s high-powered sports cars. I’m talking about, of course, the V-series lineup. In this case, I’m talking specifically about the ATS-V Coupe and its 3.6-liter V-6 that’s good for 464 horsepower and 445 pound-feet of torque. Even better yet, it’s a true sports coupe with power sent to the rear wheels via a six-speed manual transmission and a 3.73 rear axle. Cadillac didn’t just give it a few good selling points either. It can be optioned with a 2.85 rear axle, a performance data and video recorder, and Recaro performance seats if you’re so inclined. To make things even better, it comes standard with Brembo performance brakes in the front and rear, a Bose audio system, and an electronically limited slip differential. It’s a true beast and competes easily with the BMW M4 and Audi RS5. With such an amazing portfolio of credentials, we’ve decided to make the ATS-V our wallpaper of the day. We’ve hand-picked our favorite from the list but have also thrown in a few more for you to choose from. Go ahead and brighten up your desktop a bit! 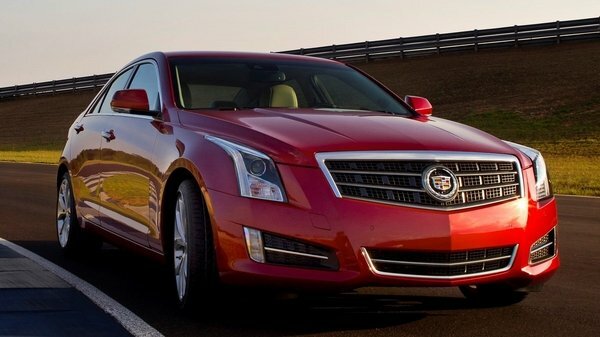 Introduced for the 2013 model year, the first-generation Cadillac ATS won’t get a replacement. The luxury automaker just confirmed that the four-door sedan will be discontinued after the 2018 model year. The ATS was developed as a competitor for the BMW 3 Series and Mercedes-Benz C-Class, but it wasn’t exactly successful against its German rivals in the U.S. Following sales of more than 20,000 units per year between 2013 and 2016, ATS deliveries dropped to only 13,000 examples in 2017. 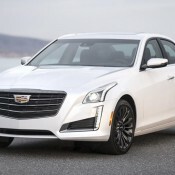 Cadillac will continue to offer the ATS Coupe model into the 2019 model year; a company spokesman told Motor Authority. 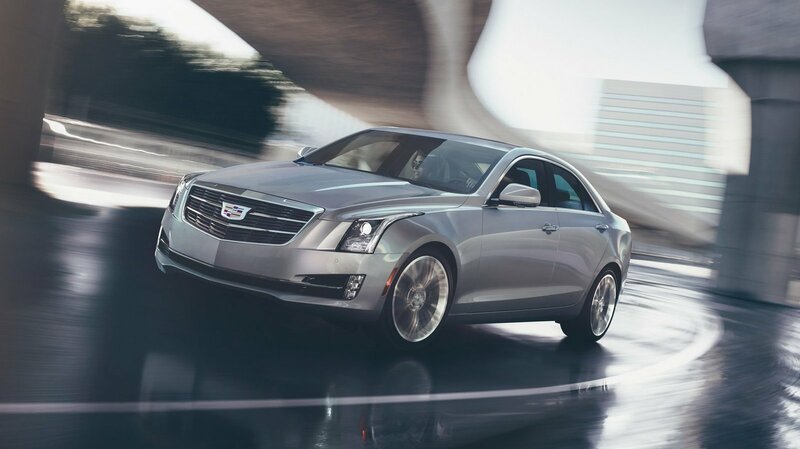 The Cadillac ATS is a good example of a car that needs a high sales volume in order to remain relevant in a competitive market. The coupe version of the entry-level model has been able to pull its own weight in that regard. Unfortunately, the sedan version hasn’t had as much success. It’s no wonder then that Cadillac appears to be ready to cut ties with this version of the ATS as documents received by The Truth About Cars show that Caddy’s 2019 product lineup will hit the market without the ATS sedan. This is what happens when a model doesn’t bring anywhere near the sales volume a brand expects. Hard decisions have to be made and based on VIN code documents submitted by the National Highway Traffic Safety Administration; it does look like Caddy’s 2019 lineup will hit the market without the ATS sedan. As surprising as it is to see Caddy drop an important model, the numbers paint a bleak picture for the argument of keeping the ATS sedan. According to Carsalesbase_data, Cadillac sold a combined 21,505 units of the ATS in 2016. It’s a decent number, but it also represents a significant drop from the 38,319 units the American automaker sold in 2013. Remember, the ATS coupe only arrived in 2015 so all the units of the ATS that Caddy sold four years ago came in sedan body styles. Unfortunately, 2017 has been much worse for the ATS as only around 12,000 units have been sold in the U.S. through November. 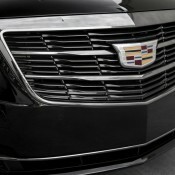 In November alone, Cadillac sold only 831 ATS models, the lowest number since the model’s first month on the market. That was in September 2012. Unless Santa Claus decides to give 10,000 kids from all over the world with brand-new ATS models, it’s not going to come close to approaching the volume of models that the company sold in what was described as a “disappointing” 2016. The good news is that the coupe version of the ATS will live to see another year, perhaps even a few more. 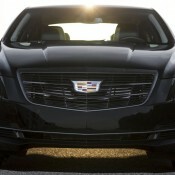 Cadillac didn’t comment on questions about the possible axing of the ATS sedan, but it probably doesn’t need to. The numbers already paint a damning picture of the sedan’s shortcomings. It’s a disappointing turn of events for fans of the ATS, but that’s what happens when you don’t perform. You get sent to the shed. 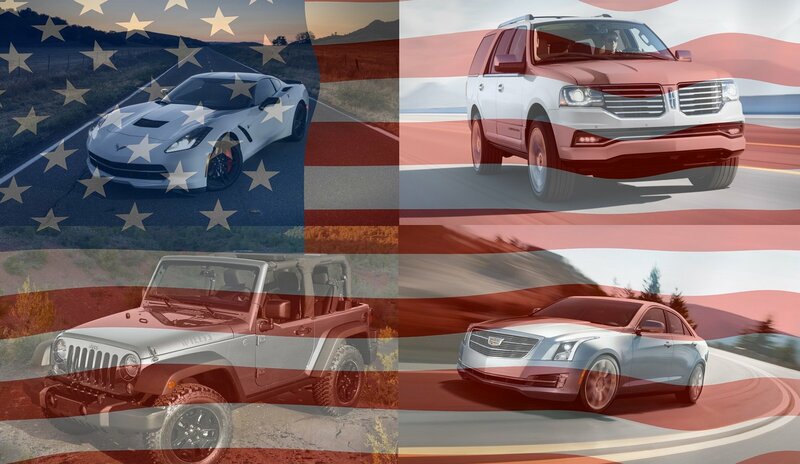 Fortunately, all’s not lost for Cadillac. 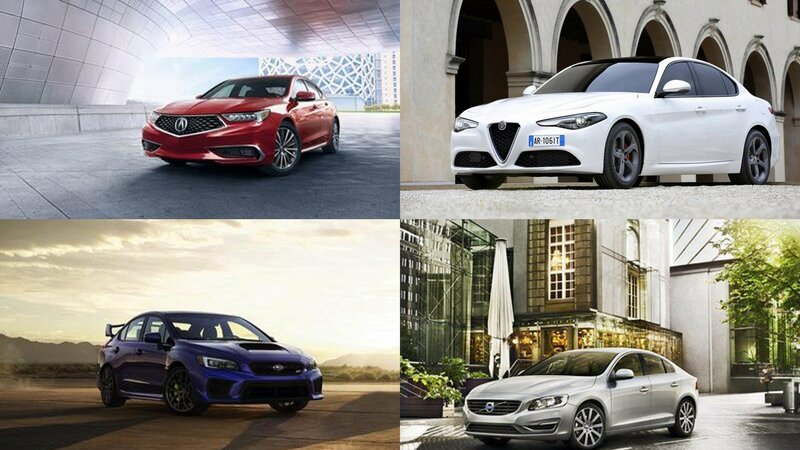 The automaker still has plans to be involved in the entry-level sedan market with a new model that will compete against the Mercedes CLA-Class and the Audi A3. 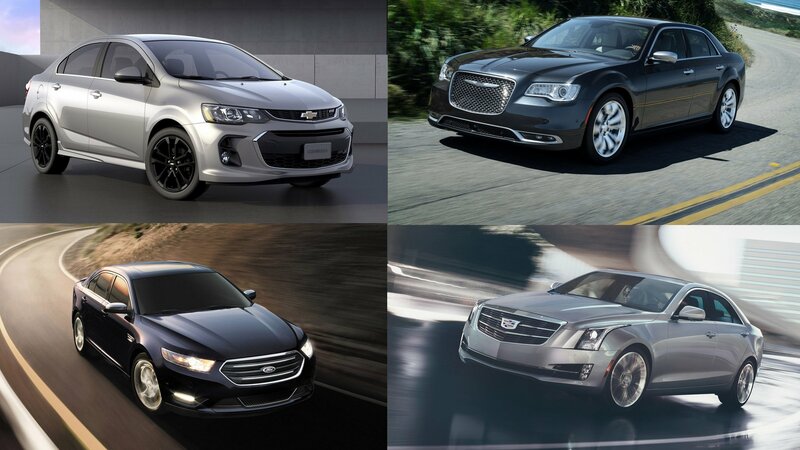 In the meantime, it looks like the new CT5 will have to hold down the fort for Caddy. 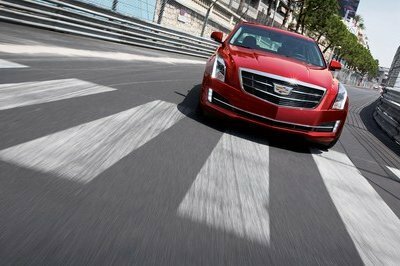 Read our full review on the 2017 Cadillac ATS. The Cadillac ATS-V Coupe was launched in 2014 as Cadillac’s response to the growing number of high-performance coupes that are making a name for themselves in the market. 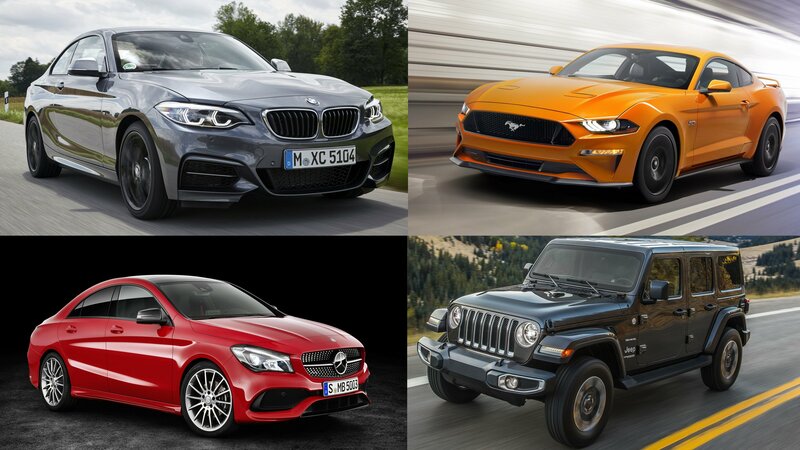 Models like the BMW M4 and the Audi RS5 are considered some of the segment’s best and the aftermarket world has taken notice of that. But don’t sleep on the ATS-V Coupe just yet because it has also received some tuning attention, none more recently than Geiger Cars, which prepared a program that gives the the high-powered ATS model a new output of 508 horsepower and 486 pound-feet of torque. The program is largely meant for European owners of the Cadillac ATS-V Coupe, a lot of whom will probably admit to needing one considering how many tuners offer programs for the M4 and the RS5. In addition to the engine upgrades, it also includes a flashy new set of 19-inch wheels and upgrades to the car’s suspension unit. The last part is particularly important given the extra horses that were squeezed out of the coupe’s 3.6-liter twin-turbocharged V-6 engine. There is a lack of exterior and interior upgrades, but given the car’s already impressive aerodynamic qualities, it doesn’t seem too much of a stretch to consider that the ATS-V Coupe doesn’t need them as much as some people think. That said, it wouldn’t hurt if Geiger paid attention in that department too. But alas, the program is limited in that respect, although owners of the car who prefer upgrades to the engine won’t be disappointed with what they stand to get from the German tuner’s newest tuning kit. 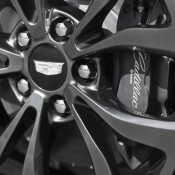 In another very European move, Cadillac announced the launch of a new factory upgrade package for the ATS and CTS models called Black Chrome. Customizable through the online Build Your Own tool, the package enhances the looks and the feel of the aforementioned Caddies. The ingredients of Cadillac ATS Black Chrome package include “After Midnight” premium paint finish 18” alloy wheels, Black Chrome accented upper and lower grilles as well as rear fascia accent, gloss black side window moldings. The kit costs $795 for Sedan and $595 for the Coupe. For another 500 to a grand you can have one of the more exclusive colors like the Phantom Gray, Red Obsession, or Crystal White. As for the Cadillac CTS Black Chrome, the main changes include only the “After Midnight” premium paint finish 18” alloy wheels and Black Chrome accented grille. But you can further customize this model with new Jet Black or Light Platinum/Jet Black, or Kona Brown/Jet Black if you have the performance seats. What’s more, Phantom Gray and Crystal White colors are also available for this car. Prices are $1,295 for Luxury, and $1,095 for Performance and Premium trims. 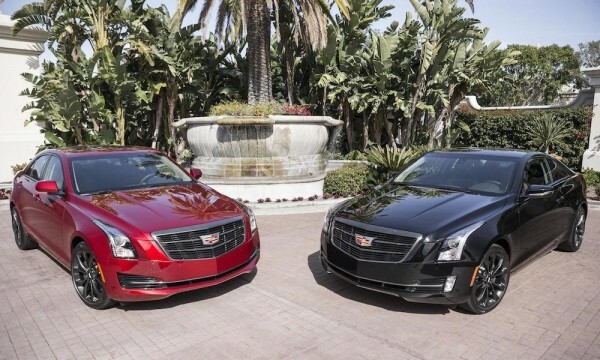 The post Official: Cadillac ATS and CTS Black Chrome appeared first on Motorward. At one point, the Cadillac CTS was the smallest offering from Cadillac. In size, it was slated to compete against models like the Mercedes C-Class and the BMW 5 Series, but it carried a price that slotted it against models like the BMW 3 Series and the Audi A4. In Cadillac’s mind, customers would appreciate a larger luxury sedan for the price of small offerings on the market – in fact, the brand probably expected to sway a few consumers away from the competition. As it turned out, Caddy customers actually wanted a smaller sedan, so the brand developed the ATS and released it for the 2013 model year. The ATS rides on GM’s newly developed Alpha platform and went through a refresh for the 2015 model year that brought updated styling to the exterior and new technology to the interior. With the 2016 model year underway, Cadillac has decided to release a new styling packaged called the Black Chrome Package. The package is available for the CTS Sedan, but for the ATS, it is available on both the sedan and the coupe. The package brings new styling to some of the exterior trim, and some new body color choices, but offers nothing for the interior. 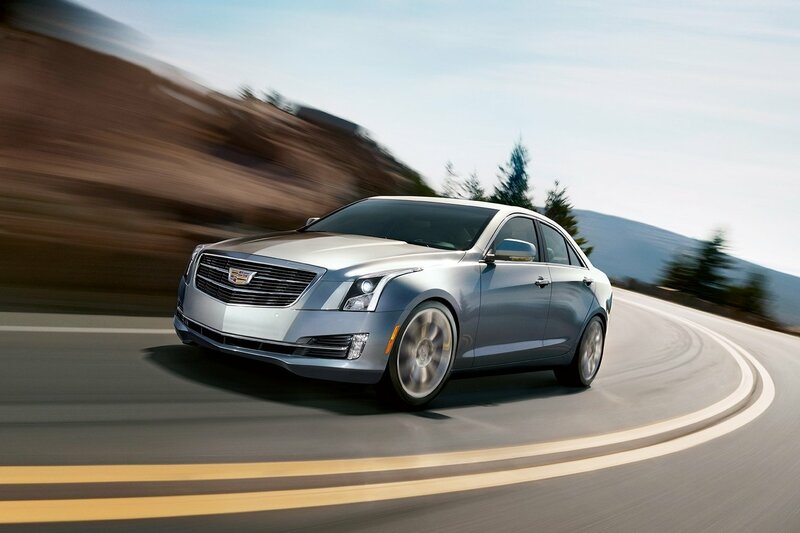 This new package is available on 2.0T and 3.6L Luxury Collection CTS models, as well as 2.0T and 3.6L Performance Collection models, in all-wheel and rear-wheel drive variants. 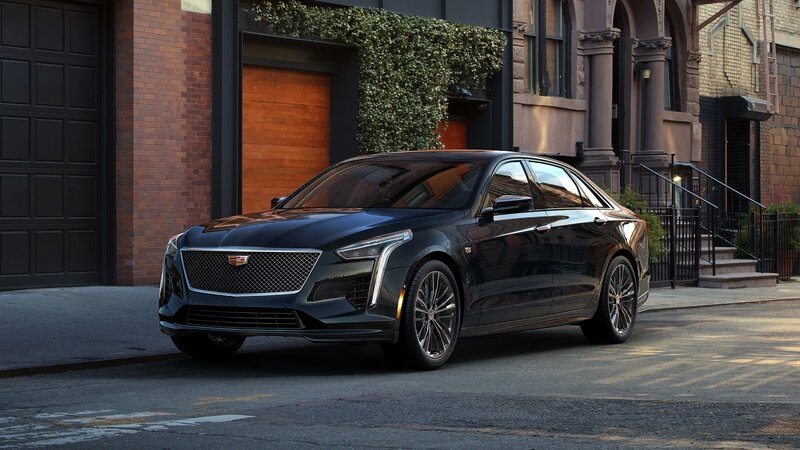 The package is available at dealerships and Cadillac’s online portal and is priced at $795 for the sedan and $595 for the coupe. If you’re interested in one of the three additional finishes, however, you’ll be asked to pay an additional premium. With that said, let’s take a closer look at this package. 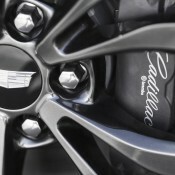 Continue reading to learn more about the Cadillac ATS Black Chrome Package. 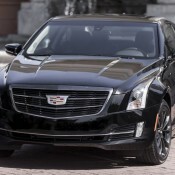 In attempt to give German sedans such as the BMW 3 Series, Mercedes-Benz C-Class, and the Audi A4 a run for their money, Cadillac launched its smallest vehicle yet — the ATS— for the 2013 model year. The sedan was quickly followed by the ATS Coupe, which was aimed at the BMW 4 Series and the Audi A5. 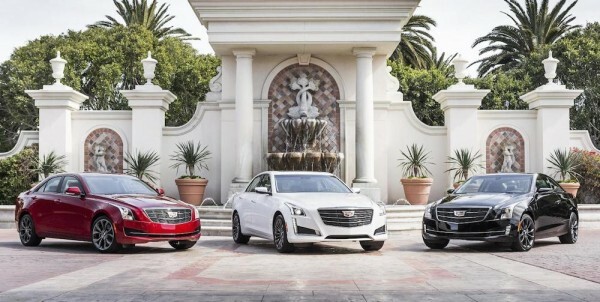 For 2016, Caddy gave both the sedan and coupe the V treatment expanding the ATS lineup to include competition for the BMW M, Mercedes-AMG and Audi RS cars. 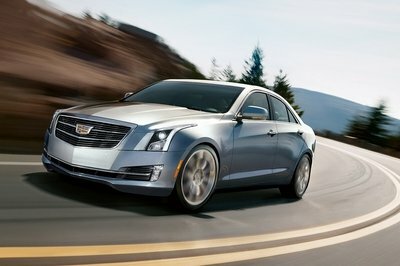 Now that the performance compact is finally in dealerships, the brand is rolling out a special-edition model that celebrates “the ongoing launch of the first-ever Cadillac ATS-V.” Dubbed Crystal White Frost Edition, and available for both the sedan and coupe, the bundle consists of several options and two packages offered as standard equipment. As the name suggests, both models can only be had in the Crystal White Frost exterior paint. 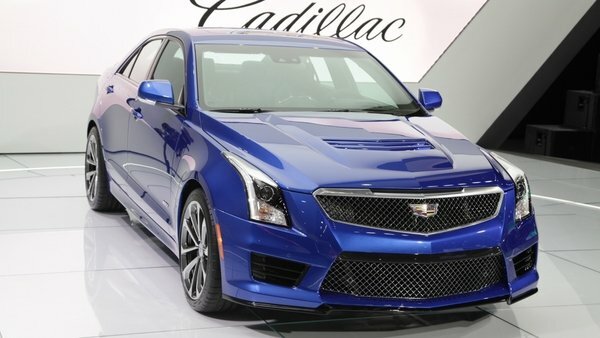 The recently redesigned Cadillac CTS-V also benefits from a similar package. Pricing for the Crystal White Frost Edition starts at $71,460 for the sedan and $73,660 for the coupe, which accounts for a $10,995 premium for both models. Is this bundle worth the extra $11K? Keep reading to find out. 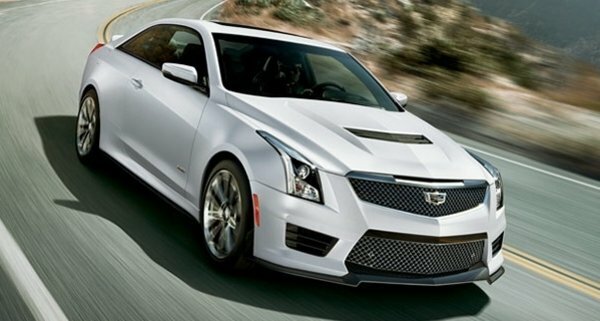 Continue reading to learn more about the 2016 Cadillac ATS-V Crystal White Frost Edition. It’s amazing how in a few hours a rumor can go from all but confirmed to completely denied. Well, this is exactly what happened with the LS7 V-8-powered ATS-V+, as it began as a report from an insider, but just hours later, Cadillac completely denied the model will ever exist. The latest report is courtesy of Motor Authority, who spoke with Cadillac communication manager, David Caldwell, regarding this hotter version of the ATS-V. 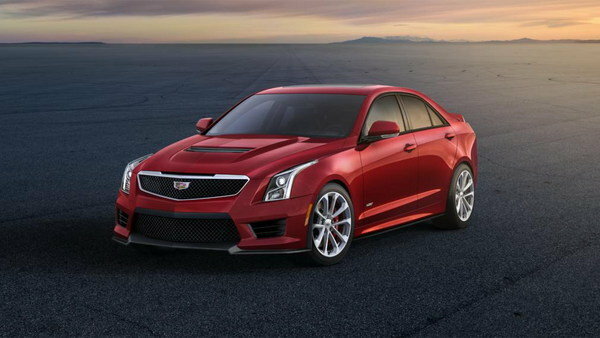 In the conversation, Caldwell made it very clear that there are no plans to put a larger, more powerful engine under the hood of the ATS-V.
Cadillac’s reasoning for this, according to Caldwell, is that the brand doesn’t want the ATS-V to just be a smaller version of the CTS-V. 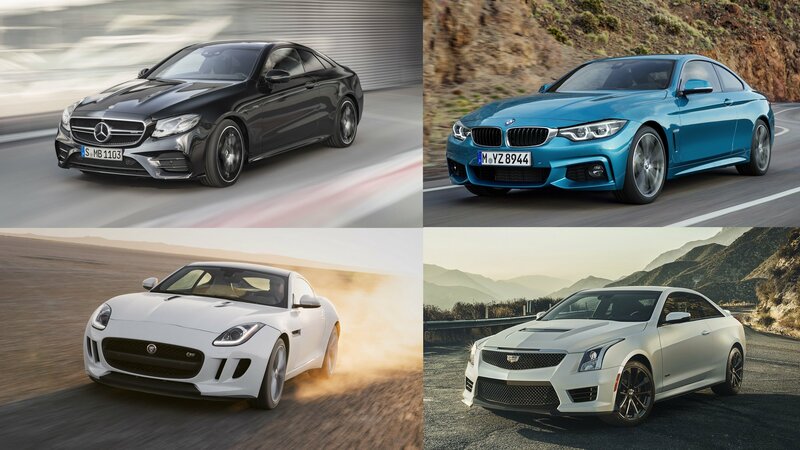 It wants them to have distinct differences, and the turbo V-6 in the ATS-V and supercharged V-8 in the CTS-V are large parts of these differences. Additionally, he said that the twin-turbo V-6 makes the smaller sibling more approachable than the CTS-V, opening the door for less-performance-driven owners. So, while the ATS-V+ was a fun rumor while it lasted, we now have a pretty clear-cut answer on whether this model is real or just vaporware. From the sounds of it, it is a lot more of the latter. 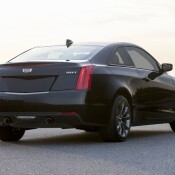 Cadillac Denies The LS7-Powered ATS-V+ originally appeared on topspeed.com on Saturday, 30 May 2015 23:00 EST. According to a new report, Cadillac is looking into possibly transplanting the Camaros Z/28’s 7.0-liter V-8 engine into the ATS-V and create an even more radical version of the fast caddy dubbed the ATS-V+. Motor Trend doesn’t give up its source in this report, as it instead just says that it’s “dug up some more dirt” on the ATS-V+. I already expected the rumored hotter version of the ATS-V to have an updated suspension system, and other bits to make it even more track-ready, but rumors of a power boost also were swirling. These rumors are coming to a head now, as the last time GM used this engine – in the 2015 Camaro Z/28 – it laid down 505 horsepower and 481 pound-feet of torque. Even if GM left this engine as is, that would be a nice power bump relative to the 464 horsepower and 445 pound-feet of twist the twin-turbo V-6 in the ATSV puts out. The report also claims that the LS7 V-8 is lighter than the 3.6-liter V-6. I couldn’t find any information to personally confirm this, but if it is true, then this would make it even easier for Cadillac to turn the ATS-V into a track monster that snacks on M3s and M4s on a regular basis. Continue reading for more information on this development. 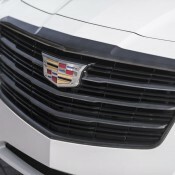 Cadillac Will Reportedly Stuff the LS7 V-8 into the ATS-V+ originally appeared on topspeed.com on Wednesday, 27 May 2015 12:00 EST. 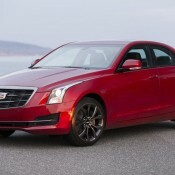 MotorTrend Reviews 2016 Cadillac ATS-V: Video originally appeared on topspeed.com on Wednesday, 29 April 2015 17:00 EST. 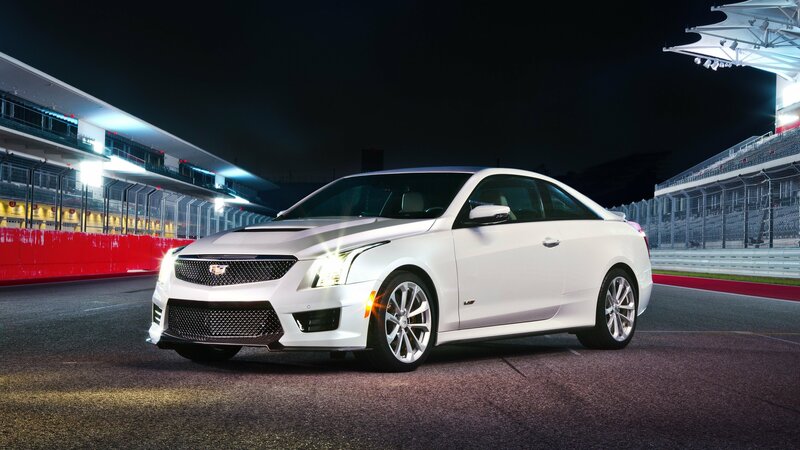 With its high-output, twin-turbo V-6 and sport-tuned chassis, the 2016 Cadillac ATS-V is ready to hit the track. 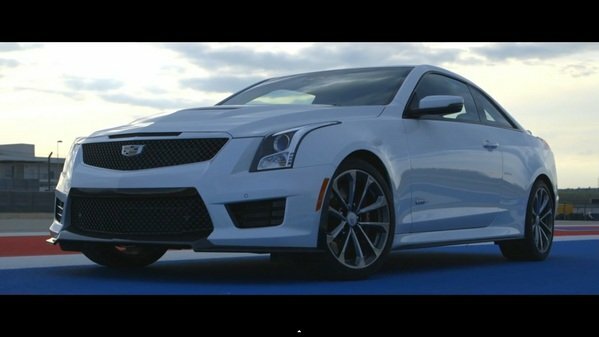 With the car preparing to go on sale this Spring, Cadillac took the car to one of the most challenging road courses in the U.S. – the Circuit of the Americas (CotA) – to give us some video proof of just how amazing the ATS-V is. 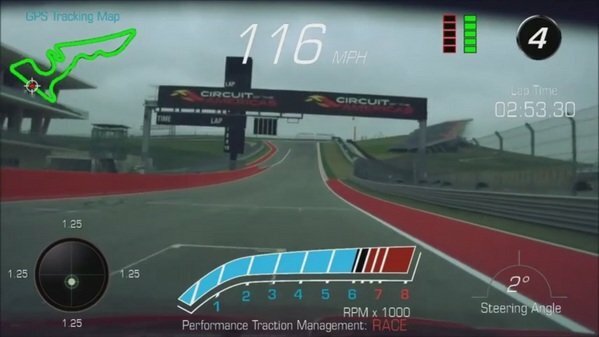 The whole video was caught by the ATS-V’s built-in Performance Data Recorder (PDR), but the best part is that the car’s lead development engineer, John Buttermore, provides commentary about the car and the track throughout the lap. 2016 Cadillac ATS-V at the Circuit of the Americas: Video originally appeared on topspeed.com on Wednesday, 25 March 2015 17:00 EST. I may have fallen in love with the Cadillac ATS when I reviewed it a few weeks ago, but my praises don’t prevent a car from having issues. Edmunds is now reporting that the Cadillac ATS will soon be subject to a national recall for the car’s sunroof. GM has confirmed the recall is happening, but there has yet to be an official notice from the National Highway Traffic Safety Administration (NHTSA). The recall itself covers the switch to operate the sunroof, and not actually the panel itself. If you are an owner, and start sweating about a leaky sunroof, you have nothing to worry about. The problem with the switch stems from the amount of force necessary to operate the closing mechanism. If even partially depressed, the sunroof will close. While hardly a real problem, that switch does not meet the government mandated safety standard for activation pressure, and so it must be fixed. Once the recall passes through all the regulatory necessities to become official, GM will begin notifying the owners who own a model with the suspected defect. If you own one of the nearly 67,000 affected vehicles, a quick a trip to a dealer will see a new trim plate installed for the switch that should correct the issue, but wait until you get your letter. If you are buying a new ATS, the car will be repaired before it is allowed to leave the dealer lot. 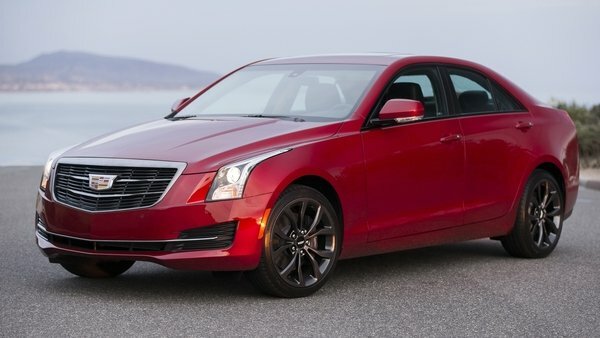 Cadillac ATS Recalled For Sunroof Issues originally appeared on topspeed.com on Thursday, 26 February 2015 19:00 EST.